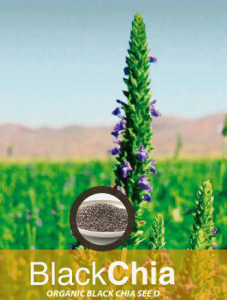 Mercadero offers high quality chia from Bolivia; organic black as well as conventional black and white chia. The supplying company controls the entire production chain; from cultivation in the field to the export of the seeds. The chia is certified organic by Bio Latina. The company has its own processing plant with storage facilities, including storage in a cold chamber with a capacity of 800 Tons. Strict quality procedures are being followed to ensure quality and food safety of the chia seeds. The company holds the ISO 22000:2005 certificate on food safety management as well as the ISO 9001:2008 certificate for its quality management system. This supplier has recently obtained the novel food notification for chia. This means that European buyers without novel nood notification can legally import this chia directly from Bolivia.